Despite the reception, AirPods have turned out to be popular with both customers and critics, especially for its sound quality and versatility that seemingly expands with each iOS update. Brikk is among a growing number of luxury companies that customize ubiquitous Apple devices with gold plating, precious gems and other pricey embellishments for the wealthy consumer willing to splurge to make the bitten Apple status symbol stand out even more. Each AirPod and the charging case by the Los Angeles-based company is coated in two layers of gold and hand-polished. If you’re on a budget, Brikk offers 18K rose gold or 950 platinum for about half the price. 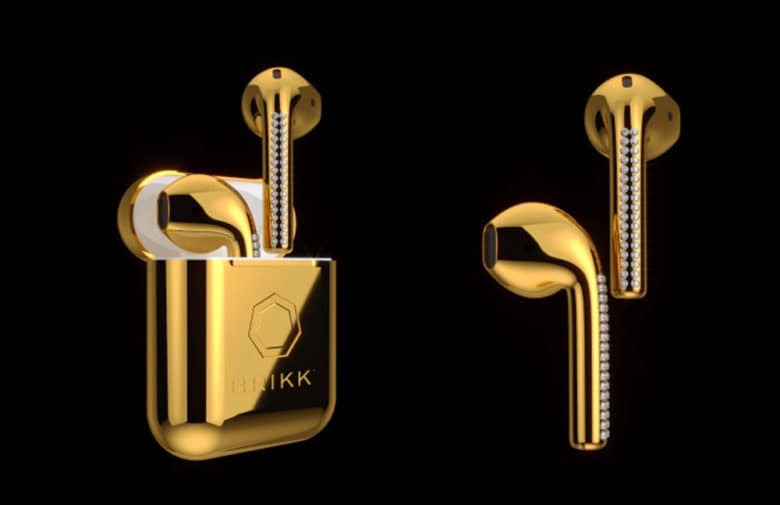 If you’re still trying to fathom the sticker price, the 24K yellow gold AirPods aren’t the most expensive item on the Brikk website. Through its concierge service, you can order an iPhone X in 108 or 250 grams of 22K gold. The starting price is $49,995. Brikk also offers a Nikon Df with a zoom lens that is finished in 24K yellow gold for $57,995.